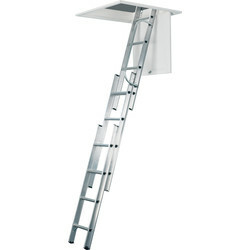 Reach your loft with ease using a stable and compact loft ladder at Toolstation, in both metal and timber finishes. We stock loft ladder kits and individual drop-down loft doors so you can get maximum use of your loft, from brands including Werner and Manthorpe loft ladders and doors. If you're looking for a wooden ladder, choose the Werner timber wood loft ladder kit which includes a wooden ladder, loft surround, 16mm insulated trapdoor and spring assisted storage. 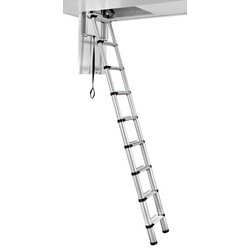 Alternatively, we have the Werner aluminium loft ladder that comes with a universal stowing pole, compatible for most loft hatches and has a maximum height of up to 3 metres. 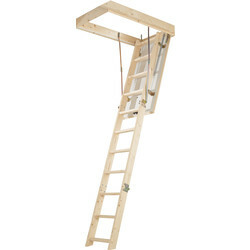 To gain access to your loft, install the Manthorpe drop down loft door complete with fixings for a fast installation. 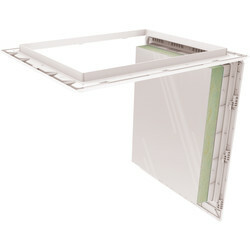 It contains a unique sliding catch mechanism with multiple catchpoints around the frame to minimise air leakage, and an opening size of 715mm x 545mm. Spend over £10 to qualify for free delivery or click and collect from your nearest Toolstation branch.